Expense Tracker for Excel® is expense tracking a family budget and money management software designed for Microsoft Excel® lovers who chose an Excel money management tool over a family finance management application to manage their daily expenses. 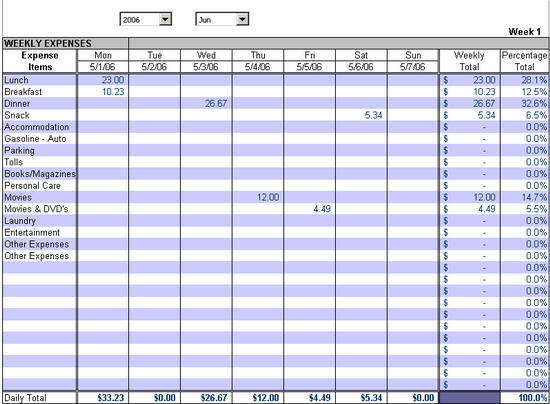 The money tracking spreadsheet is simple to use. All you do is plug in your numbers to find out where you money is going daily and monthly. Your family budget software made easy! See where your money goes by tracking your daily expenses by type. Get a clear picture of where your money is going by week or by month. 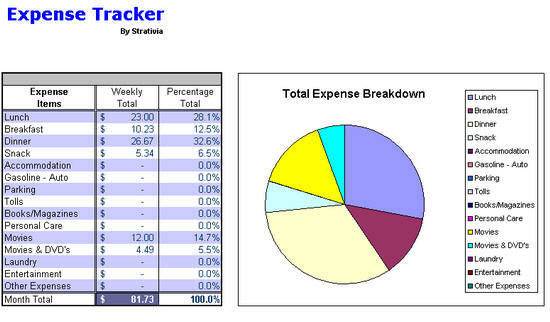 Tracking your expenses for selected time periods helps you to save money by identifying spending trends. View summarized reports, by week or by month. No need for an elaborate report, our family budget and money management software reports are clear and to the point. Customized expense categories allow you to set the software settings the way you prefer. This gives you total control over your expense tracking. All Strativia money management software products include comprehensive user guides - all your questions get answered fast.